•Paper or card (papier cartonné). •Red, green paint (tubes de peinture rouge, verte). •Thread [cotton or wool] (laine ou fil de coton blanc). •Coloured beads (perles de couleur). 1. Paint the card red or green. Add glitter if you like. Leave to dry, then turn over the card. 2. With a pencil, draw a triangle. Mark dots where the holes should be: every 1cm. Pierce the holes with a needle. 3. Starting at the top, slide the thread through the holes and put the beads onto the thread as you go. Tie a knot. 4. With the pen, write your message on the card and sign. Your Christmas card is ready to send! Téléchargez toutes les explications (en français et en anglais). 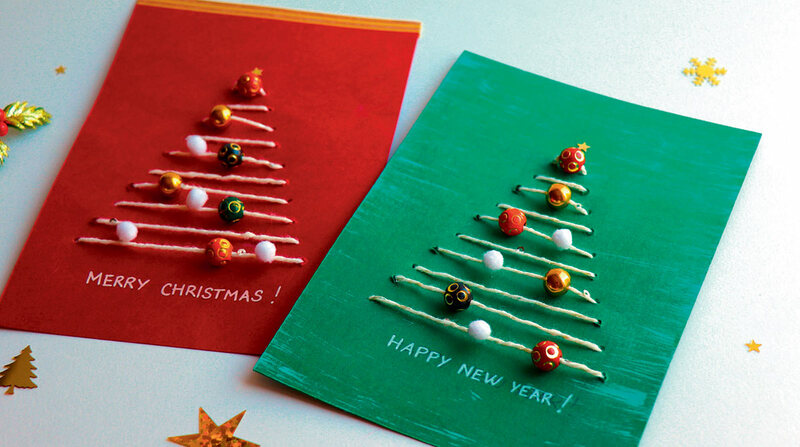 “Christmas tree cards” (cartes de Noël), I Love English for Kids! 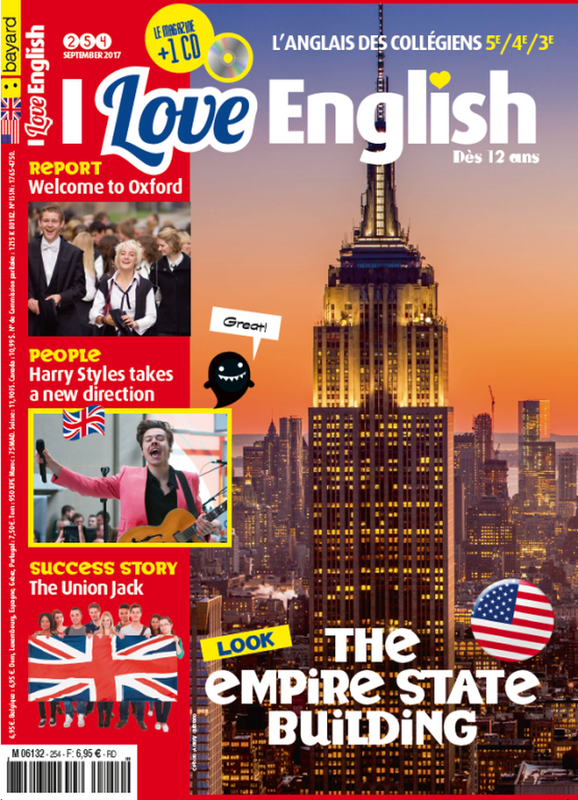 n°200, décembre 2018. Photos et réalisation : Maureen Nicolas. 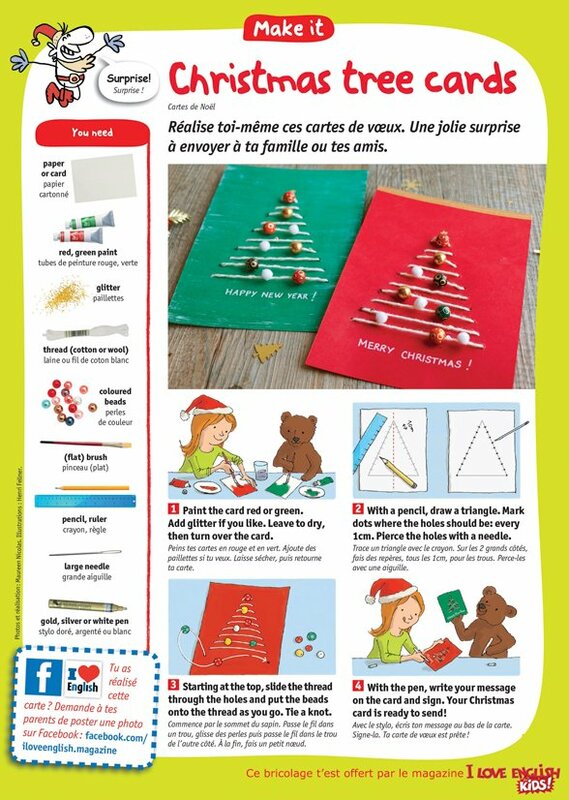 Illustrations : Henri Fellner.“Christmas tree cards” (cartes de Noël), I Love English for Kids! 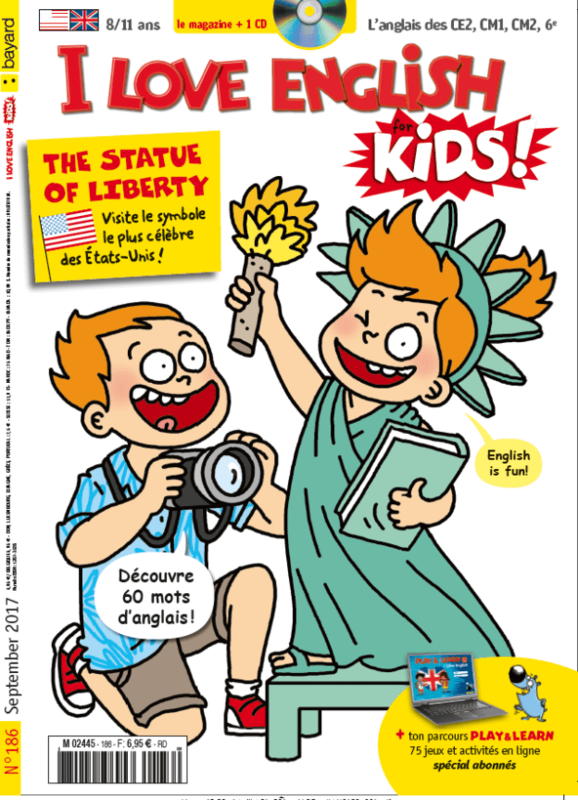 n°200, décembre 2018. Photos et réalisation : Maureen Nicolas. Illustrations : Henri Fellner.